Anywhere at anytime can be controlled, all applicances are under control wherever you are, only if it has access to internet. (Android 4.4 and above or iOS 8.0 and above devices required. 2.4GHz Wi-Fi network support only). 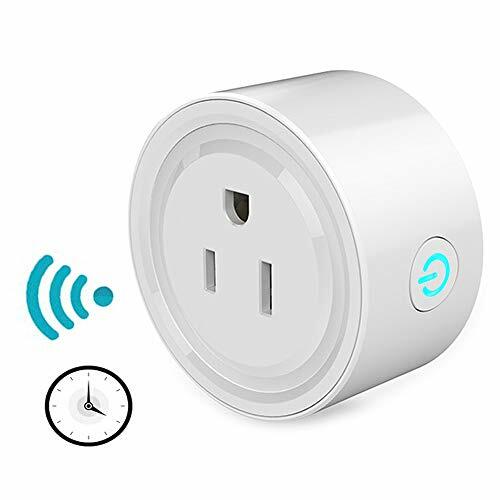 You can also schedule your wifi socket to turn ON / OFF at preset time. Let yourslef wake you up or put you to sleep in a schedule time. Start a beautiful day from the moment you wake up, it also good for kids growing up. step 1: Download and install “Smart Life”—the icon is a white house with blue background. You can scan the QR code in the instrction or search on your APP store/Google Play. step 2: Register a Smart Life account and log in. step 3: Plug the unit into an outlet and long press the button to make sure the indicator flashes quickly. step 4: Add Device(in the app)->Electrical outlet->input the correct password of your local wifi. 【Remote Access】- Anywhere at anytime can be controlled, all applicances are under control wherever you are, only if it has access to internet. Just download the app and set up. 【Universal Compatibility】- Works flawlessly with Alexa, Google Assistant & IFTTT. No hub required. Requires Android 4.4 or above & IOS 8 or above. 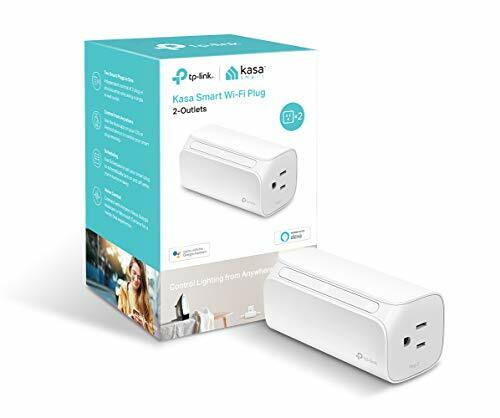 Does not work with Computer, IPad, Smarthing, Homekit. Do not exceed the maximum load current of 10A. It only supports a 2.4GHz Wi-Fi network. 【Timer Schedule & Device Sharing】- Set timer, share with family members or create schedule. These features will make your life easier and smarter. 【Voice Control】- Control your home with the power of your voice. 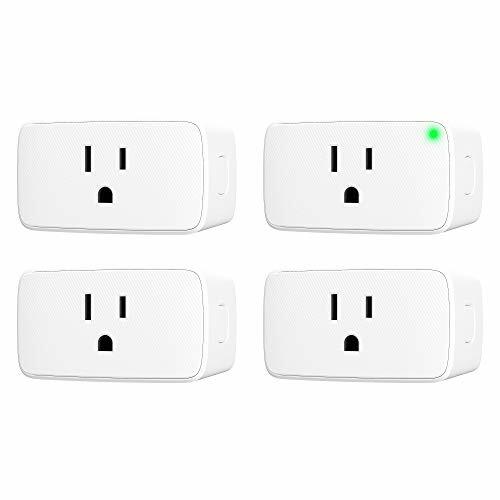 Use simple voice command to turn On/Off your lights and appliances. 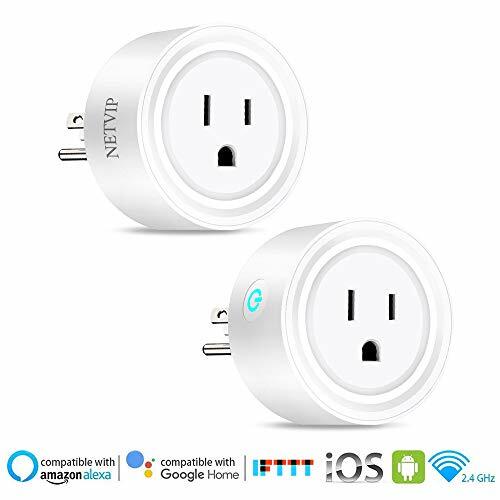 【Energy Saving & Safe】- In addition to remotely controlling your devices, you can turn Wi-Fi outlets on or off to reduce energy use, eliminate wasteful standby power, prevent overcharging and overheating, save on your electric bills and extend product life.